Your sightings matter. 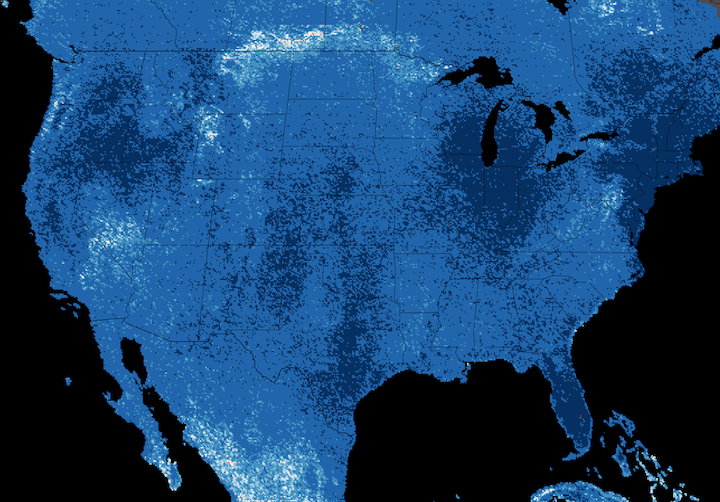 Combining hundreds of millions of your bird sightings with data from NASA and other sources, Cornell Lab researchers have created full-hemisphere species distribution models that allow us to visualize migration like never before. Read the full story on eBird. You can now view a digital bird guide for any hotspot or region in the world: an Illustrated Checklist. The best part? 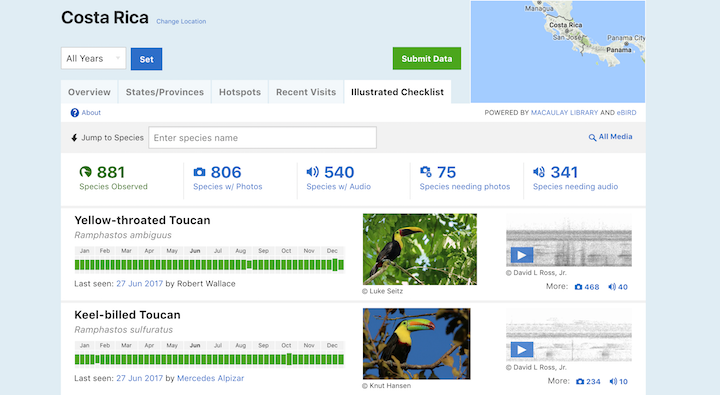 It's all using photos and audio from your eBird checklists! Want your photo to be the best image for that region? Learn more. Your bird sightings can influence more than just the birding and conservation worlds. 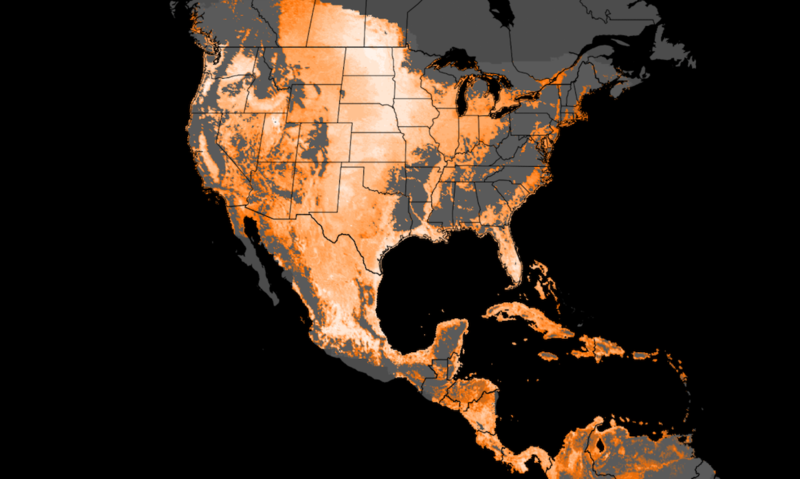 eBird checklists are a quintessential example of ‘Big Data’—a massive dataset, full of patterns, that contains myriad opportunities to explore exciting questions in fields like statistics or machine learning. 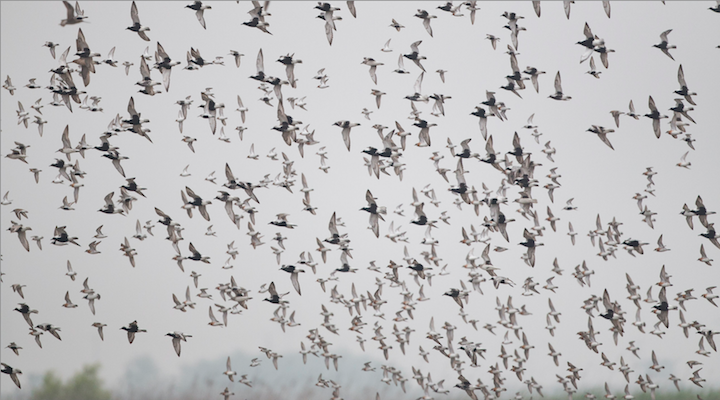 Have you ever seen a big flock of birds, and didn't know where to begin counting? Our Counting 101 article helps with some basic strategies to make counting birds as easy as possible. Get counting! The Cornell Lab of Ornithology invites applications for our Edward W. Rose Postdoctoral Fellowships. Multiple Rose Fellow positions are available annually, with applications due on September 8. Apply today. Your July eBirding can help you become a better birder by ear! 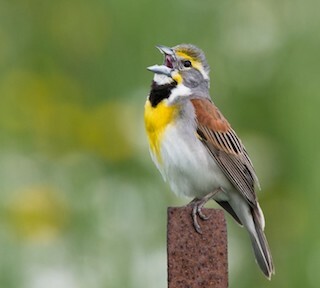 Each eligible checklist submitted in July gives you a shot to win 1 of 10 free spots in the Cornell Lab's Be a Better Birder: How to Identify Bird Songs course. See more. 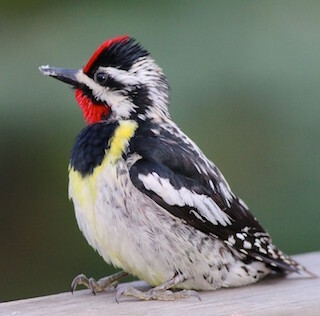 June is breeding bird season for much of the world! Submit 15 eligible checklists in June with at least one breeding code to be in the running for eBirder of the Month and free Zeiss binoculars. Read more.